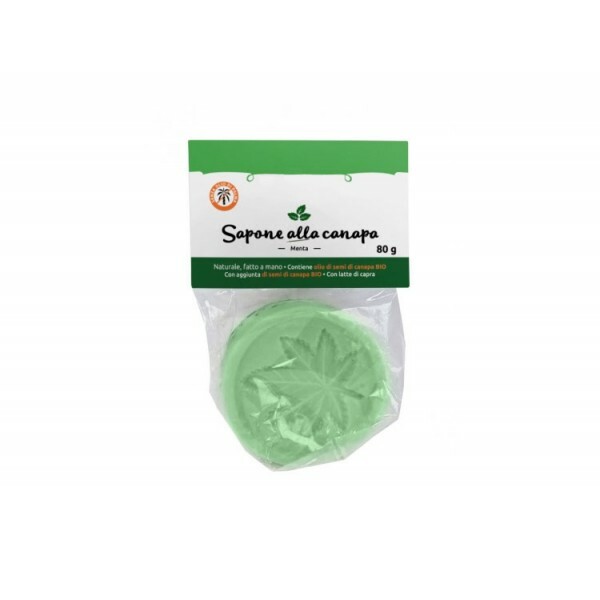 Hemp peeling soap with mint, 80g. Hand-made from natural and high-quality ingredients. The combination of hemp and mint eases breathing problems and nausea, soothes pain and rejuvenates brain activity during fatigue. A blend of hulled and whole hemp seeds works as a peeling and massage for the skin the same time. It has curative and regenerative effects. Ingredients: glycerin soap with goat milk addition, hemp seed oil BIO, hemp flowers and seeds, Etheric oil peppermint, and a natural soap colorant.